Moving over a long distance? Not sure how to get your belongings there safe and sound with minimal hassle? 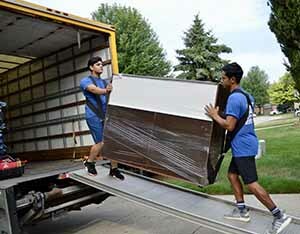 Trust Affordable Moving Services LLC to handle your next long-distance residential moves or commercial relocations. Choose us with confidence for comprehensive long-distance moves throughout Metro Detroit, as we bring you the experience you need for peace of mind. These types of moves are inherently more stressful than local ones, due to the sheer volume of stuff you have to transport over such a long distance. Our team knows the value you place on your furniture, collectibles, and all of your belongings. That’s why our professionally trained movers do all they can to ensure your belongings arrive in superior condition. 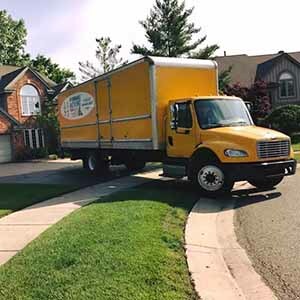 Boasting some of the lowest moving prices in the area, you can rest assured we never compromise on quality, thanks to our efficiency and attentive customer service throughout Rochester Hills, Troy, Oakland and beyond. When you want personalized attention to detail, you need to partner with a small family owned business like ours. Our long-distance moves are a great source of pride for us as we aim to provide the smoothest moving experience for our clients. We take our jobs seriously, doing everything we can to meet and exceed your expectations. Our professionally trained movers, arriving in uniform on time, will safely and securely load your belongings in an efficient manner. They’ll even bring carpet shields at a marginal cost if you need them. Backed by vast knowledge of how to best transport furniture and other valuable or bulky items, they will wrap and pad any delicate items, such as TVs and other electronics. When moving over a long distance, lean on us to provide a seamless door to door relocations and competitive pricing. We want to achieve 100 percent customer satisfaction every time, going above and beyond to do that. Kick start your budget planning with a convenient free quote from our BBB accredited business. We promise to take great care of your furniture, electronics, collectibles, clothing and other belongings as we strive to ensure safe transport no matter the number of miles involved in your relocation. Are you buying your first house? Upsizing or downsizing? Moving your entire office? Whatever the case, we are here to help from start to finish. With quality long-distance moves and exceptional logistics, choose Affordable Moving Services with confidence. To learn more about our long-distance moving services, please contact us today at (248) 260-7026 or email us at affordablemovingservices@hotmail.com.